Treat yourself to a modern getaway in a Alto Suite close to Restaurant Row! 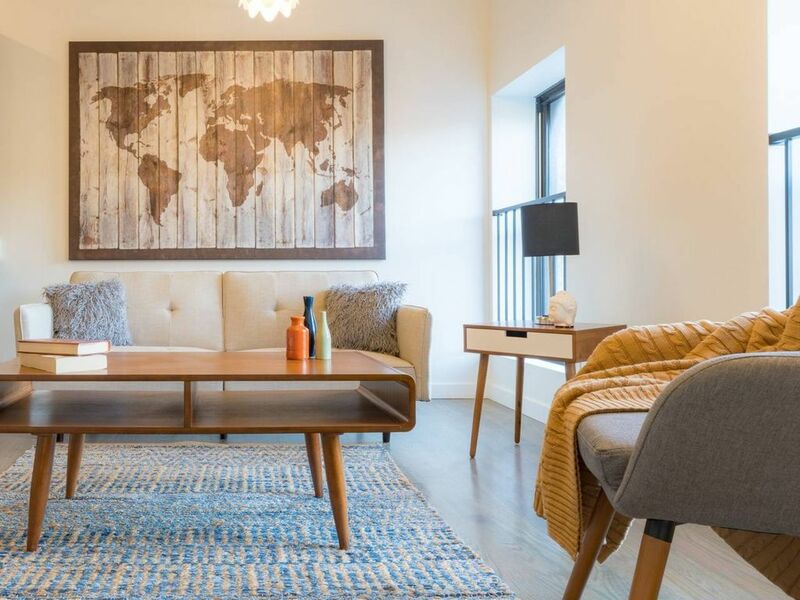 Designed with the traveler in mind, this 1 Bedroom Alto Suite (sleeps 4) caters to all your needs in a modern, spacious layout with globally-inspired decor and a beautiful view - all within walking distance to some of the city’s most delicious and exciting hotspots. Alto suites offer guests a modern space with custom comforts that are a cut above the usual AirBnB experience. Each room is uniquely designed with its own stylish accents and convenient amenities to give you the perfect mixture of home and away. At the premium status level, the Alto suite provides you with a premiere experience in a premiere city. The West Loop is a study of contrasts, mixing the bright and chic with the industrial and gritty. With a plethora of new restaurants on Randolph Street and Fulton Market, and the French Market just blocks away, this location offers an authentic experience for a guest looking to see and taste the real Windy City!